A modern city in the middle of the desert. Abu Dhabi is really something else and offers a variety of thing to see and do. 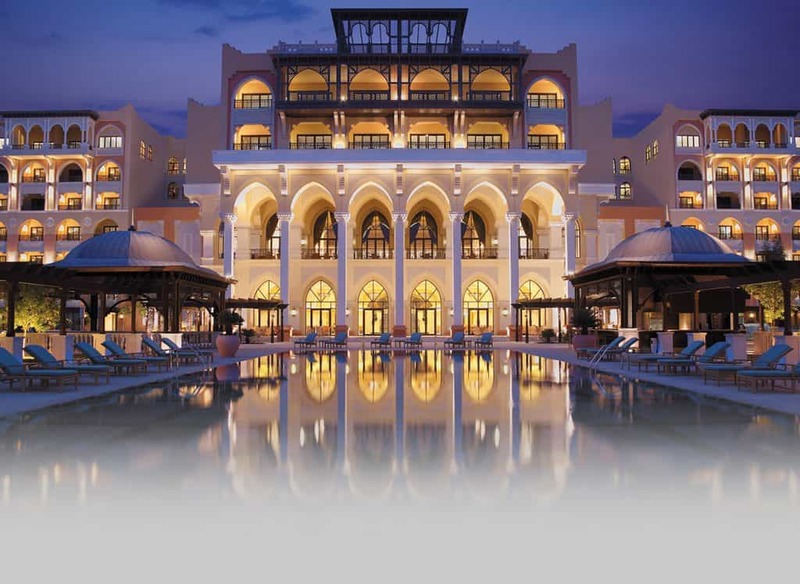 Here you can tour the desert, shop in exclusive malls, visit Ferrari World and see the worlds largest mosque. 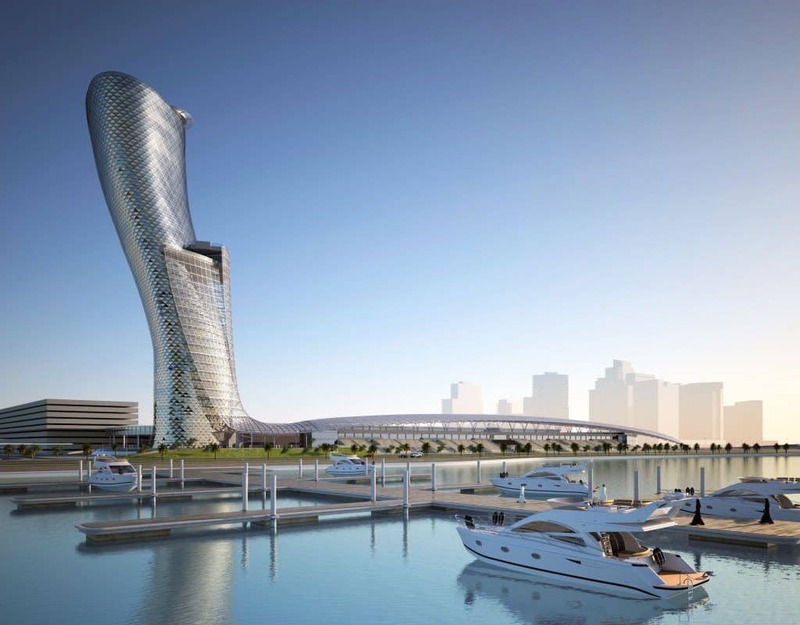 Come and see this exciting city on the gulf coast of UAE. Abu Dhabi is hot, really hot. In the summer months (May-September) the average temperature is 37°C/98°F with daily high temperatures around 41°C/106°F. The winter is a bit colder with an average around 18°C/64°F. Even if you are going to Abu Dhabi for the nice weather it’s not recommended to visit during the summer. Consider going around November-February for a more pleasant trip. As one of the worlds largest mosques Sheikh Zayed Mosque is really stunning. It covers an area of more than 30 acres and can house over 41 000 people praying. 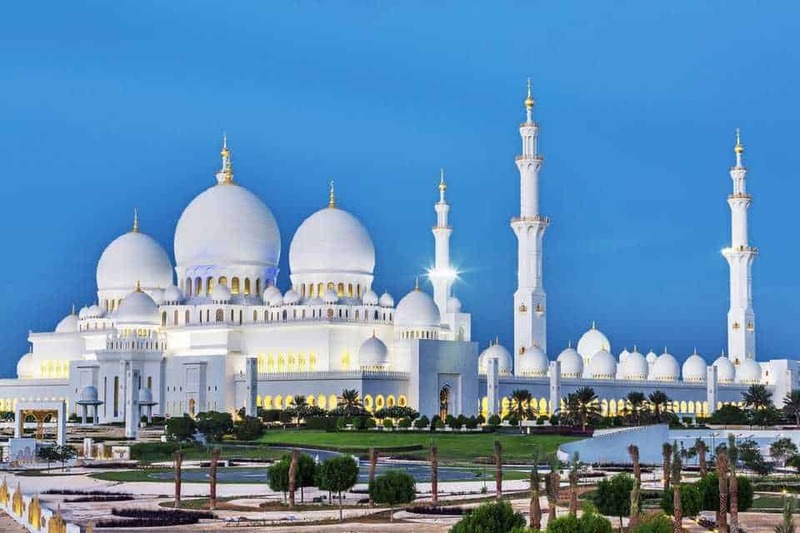 The mosque should be #1 on everyone’s to-do-list who visits Abu Dhabi. This stunning building is beautiful both in daylight and at night. What swim shorts to bring? Abu Dhabi is hot and there will be plenty of time to use your swim shorts during both day and night. 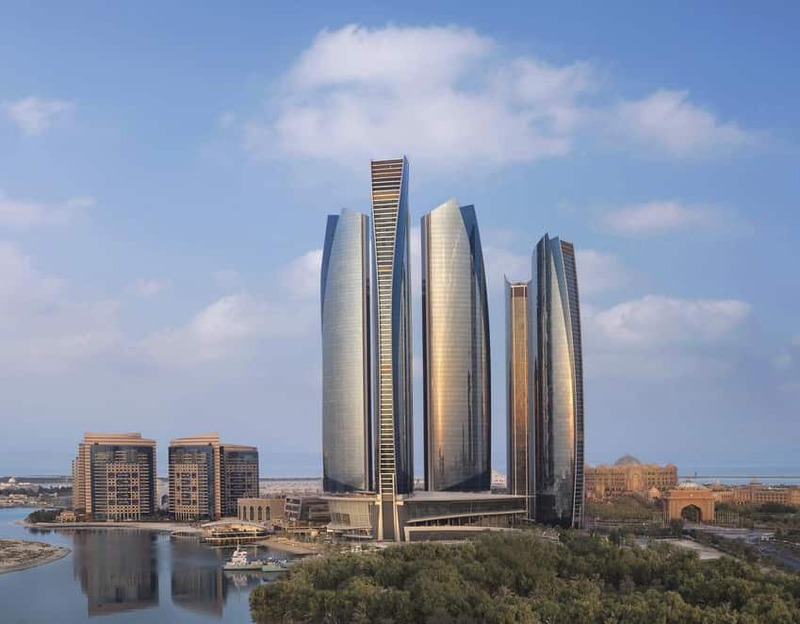 For us, the choice is easy when it comes to Abu Dhabi. You should definitely bring your Decisive Plan Swim Shorts. We created them with inspiration from the city of Abu Dhabi, the palms and the sand. Posted in travel and tagged abu dhabi, guide, palm, swim shorts, travel.